This is the main Members Area page and from here all members of SerpRank can go through all the member goodies, downloads and tools that we have provided. If you are not yet a member, then click the link below to sign up. Head to the Members Downloads page to download a selection of E-Books and other useful material. We currently have a small selection of E-Books and also a great piece of software – the LSI Digger, all of which are available for members to download. Head to the Members Google AdSense section where you will find a great selection of helpful and practical articles about how best to use and monetise your websites with AdSense. We will constantly be adding new articles to this section of the members area. 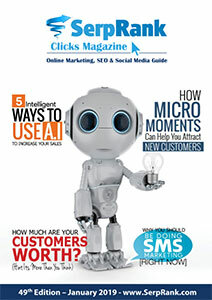 Head to the Members Magazine page to download the latest edition of our monthly internet marketing, social media and SEO magazine, packed with informative articles and the latest news in the world of online marketing. Registering as a member is FREE and only takes a few seconds.